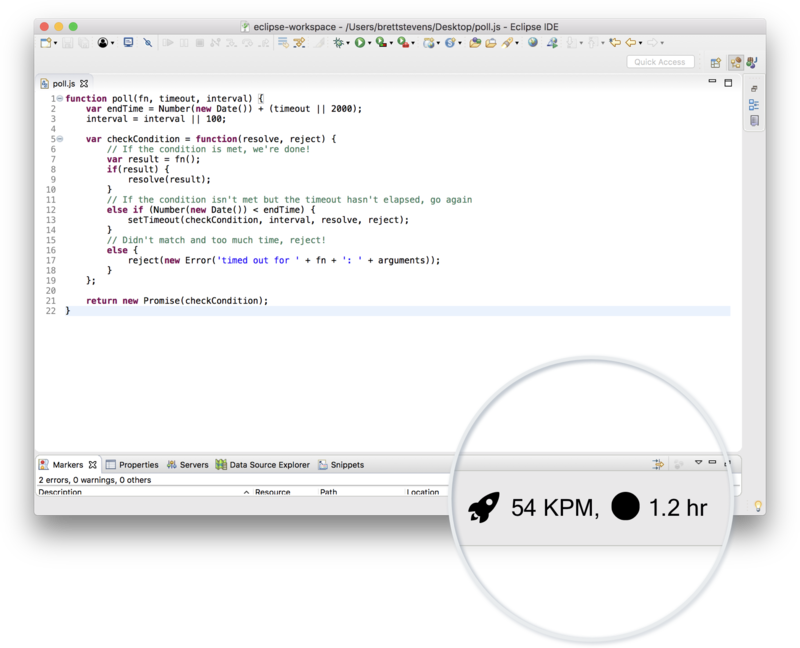 Track your programming activity in real-time in Eclipse. 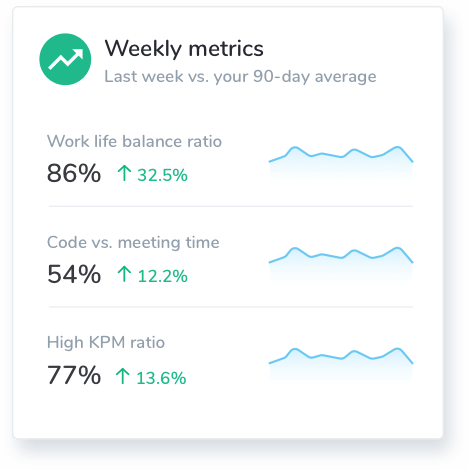 Analyze your coding data to increase flow, decrease interrupts, achieve work-life balance, and more. 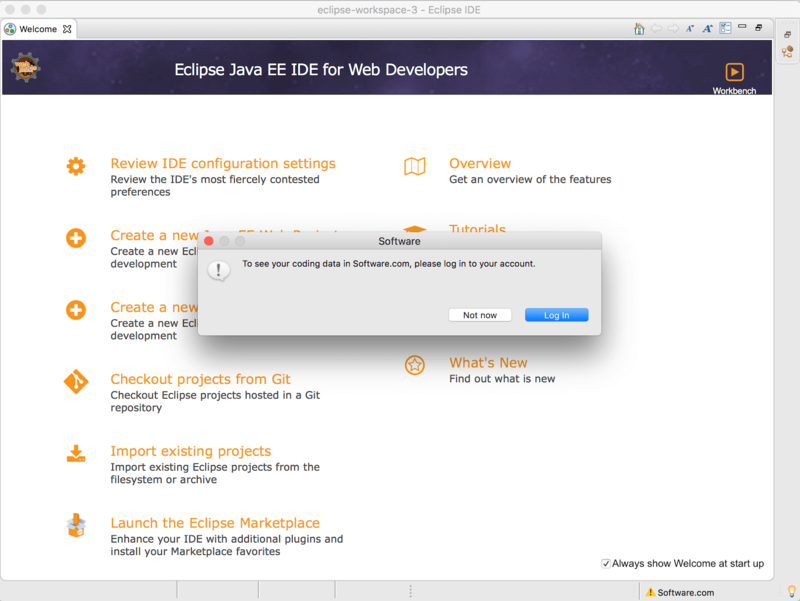 Software is installed and uninstalled via the Eclipse marketplace. 3. Hit Enter. The table should now show "Software.com". Check the box under Name and click Next. 4. Click Next again, accept the terms of the license agreement, and click Finish. 5. Click Install anyway and then Restart Now. 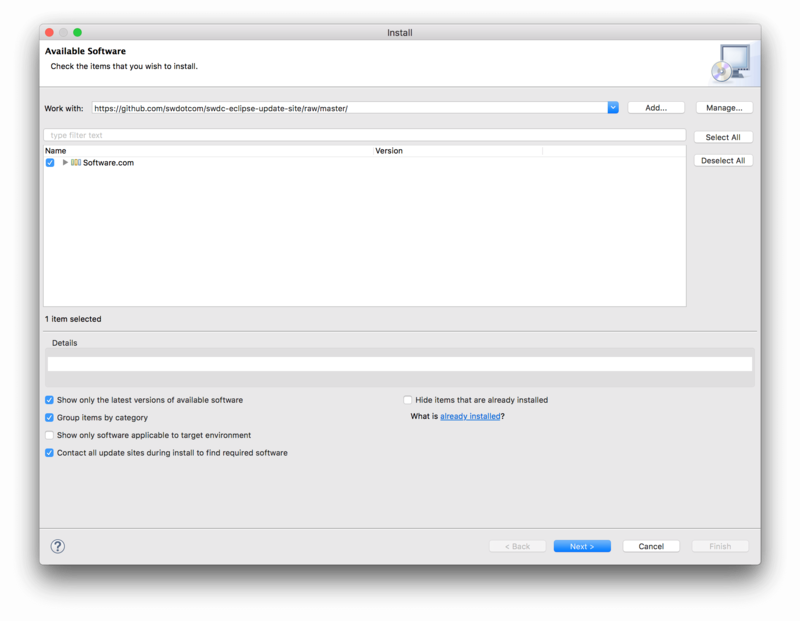 After installing Software, an alert will appear to login. If the alert does not appear, you can simply click on "Software.com" in the status bar of Eclipse, which will take you to the final step of setting up your account. Go to Install/Update and click "Uninstall or update software that is already installed"
Your software matters, so we track the data behind the software. 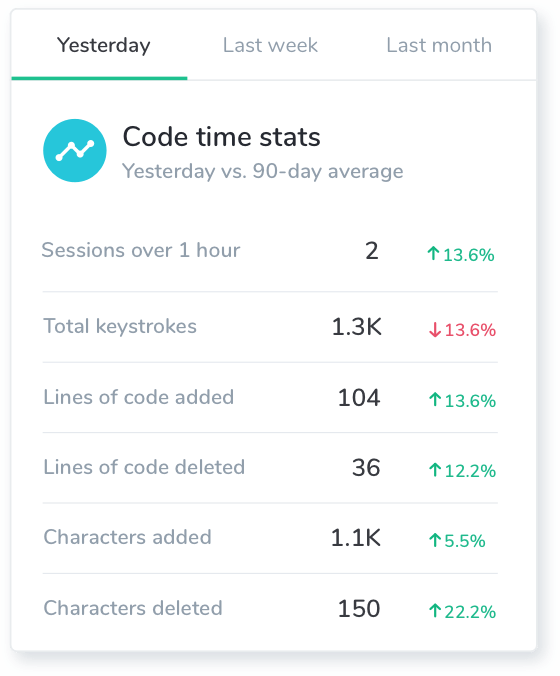 Track and analyze your data from Eclipse, such as your code time by project, work-life balance, session times, lines of code, keystrokes per minute, characters added, development workflows, and more. We work hard to make your data simple. 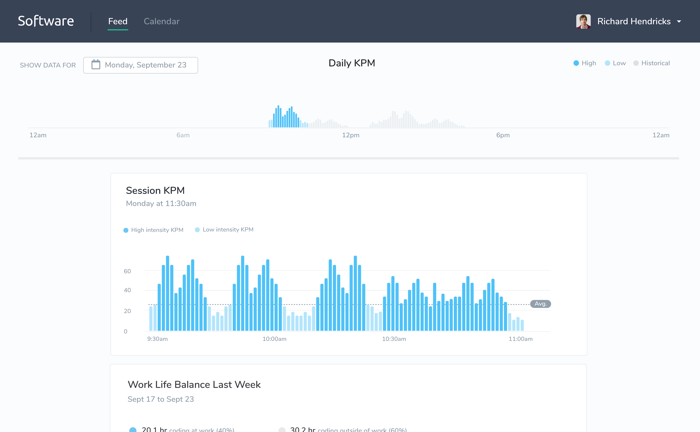 We distill data into easy-to-read “datagrams”—simple data stories that don’t require inputs or configurations. We provide datagrams in a progression over time to make it easier to understand and act on your data. New data will automatically appear in your Eclipse status bar, web feed, or email reports over time. 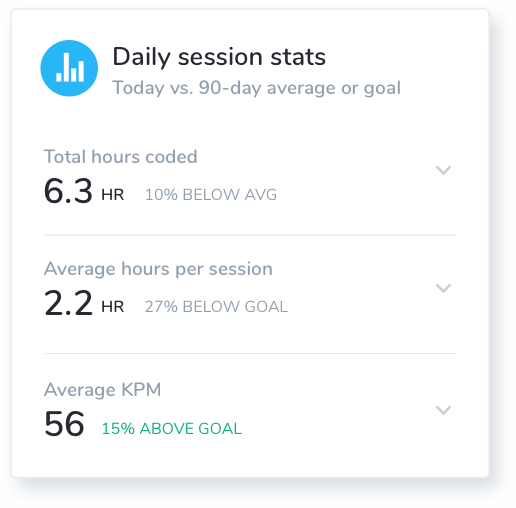 In the status bar of Eclipse, we show a circle with a partial fill (either 25%, 50%, 75%, or 100%) to indicate the duration of your current session vs. your average over the last 90 days. Don't use Eclipse? Check out some of the other text editors and IDEs we support.